If not then please join so you can get updates and reminders and see photos and discussions of our events. If you have a FaceBook account just go to Go to https://www.facebook.com/groups/608043579354566/members/ and click the JOIN button. If you do not have a FaceBook account go to Facebook.com and sign up first. If you need help please contact us. 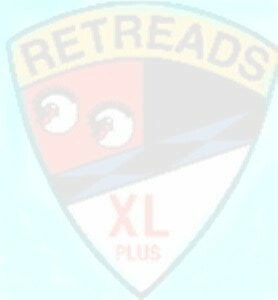 The Retreads are an international Motocycle club with members throughout the USA, Canada and New Zealand. The Eastern PA Retreads serves our members in the eastern half of Pennsylvania. You must be 40 years of age or older to join. Our club is open to all brands and we have many members who no longer ride yet continue to participate in our activities. To learn more about the Retreads click here to visit the Retreads International website. The Eastern PA Retreads have breakfast meetings in Lancaster County, Berks County, and Bucks County. We invite you to join us at any of our breakfasts, come out and see what a friendly group we are. See our BREAKFAST MEETINGS AND OTHER EVENTS page for dates and locations. Be sure to look at our many other activities also listed on the EVENTS page. For information about Retreads in nearby states go to the MID ATLANTIC RETREADS HOME PAGE. Links to the pages on our site are listed here and at the bottom of every page. View and download flyers for our events. Get directions to our breakfasts and other events. Here are some fun roads for you to ride. Last updated March 24, 2019 by Art.